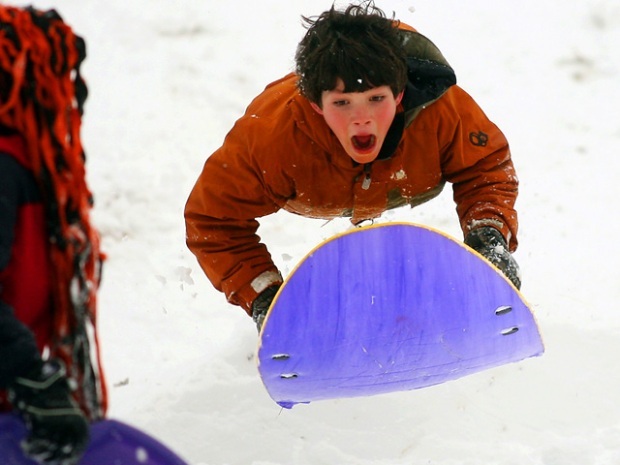 Just when you thought it was safe to put away the shovel... more snow is on the way. Work to restore power to thousands of customers in southern New Jersey is slow going two days after a blizzard snapped utility poles and downed lines along the coastal county. At mid-afternoon Monday, Atlantic City Electric was reporting about 39,000 homes and businesses without power — almost all of them in Cape May County. That was down from a peak of 90,000 as the snow fell on Saturday. Crews from several other utility companies were helping repair lines damaged by ice and falling limbs. Utility spokeswoman Sandra May said the utility expected to have most customers online by late afternoon Tuesday, but some would have to wait until later in the week. More snow expected for Tuesday night and Wednesday could complicate matters. The white stuff is predicted to arrive in the Mid-Atlantic states by Tuesday afternoon, intensifying on Tuesday night. The snow should arrive in the New York City area Tuesday night and start falling heavier on Wednesday. High winds are also expected. Unlike last weekend's storm, which spared the Big Apple, the five boroughs could see up to a foot of snow this time around. Even counties up through the Hudson Valley could get at least six inches. And while New York City residents may be used to dealing with large amounts of snow -- but not the people who live in Brick Township, roughly 60 miles south of the city. Mayor Stephen Acropolis says he's never heard of two major snow storms here within a week -- but that's what it looks like they are going to get. 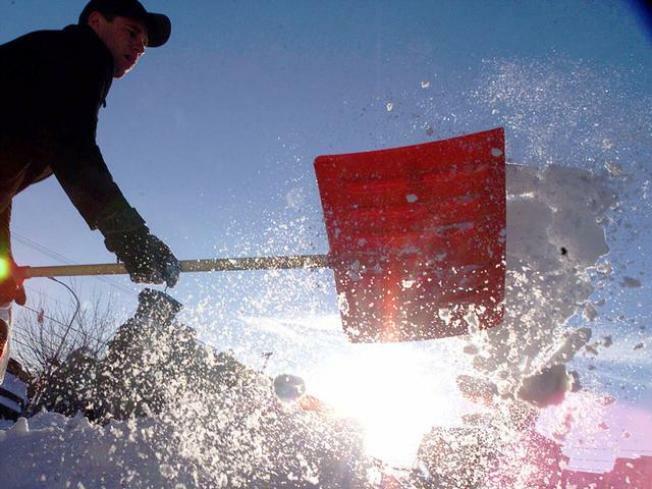 Municipal plows were still clearing parts of Brick on Monday morning, and the public schools opened only after 90-minute delay after Saturday's storm dumped about a foot of snow on the town. The next storm is set to hit Brick head-on on Wednesday, with predicted snowfall totals of about 18 inches. Mayor Acropolis told us he had to order 400 more tons of salt for this coming flakes, because the municipality has run out. He employed a reverse-911 safety alert to the 85,000 residents over the weekend, and expects to do the same tomorrow evening or Wednesday morning. The mayor also said schools will likely be closed. Senior residents in the Greenbriar complex in Brick are not taking any chances. Refrigerators are being stockpiled with basic necessities, since they don't know when roads will be clear enough to drive safely. But Mayor Acropolis says he's ready, though, for whatever's headed their way. You can always check NBCNewYork's weather page for the latest up-to-the-minute forecast.